College tuition can be prohibitively expense for some potential students. Federal loans will only pay a set amount of the costs and there are many schools that charge fees above what can be paid for with these loans. Students that want to attend college need to find ways to help reduce the cost of tuition instead of finding new ways to borrow money. Fortunately, there are a few methods that might be able to drop the cost of tuition to an affordable level. Scholarships and grants are basically free money that is given to students who qualify for the programs. These programs can reward a student for a variety of achievements including high grades in high school, excellence in athletics or national achievements in a given field. Good students might also be able to find grants from foundations that are attempting to increase the number of skilled workers in a particular industry. There are many city and state grants that can be given to students who live in a particular area or who fall into a specific demographic. Thorough research can usually reveal at least a few potential scholarships and grants that are available. The work-study program allows a student that is attending college to work in order to reduce the amount of tuition that must be paid. The program involves full-time and part-time work that can be performed on campus or for private companies. Each college is able to implement this program in a slightly different way. Students who are participating in a work-study program will earn at least minimum wage for the hours that are worked. The money that is earned can directly reduce the cost of tuition. State schools and public colleges can sometimes have lower tuition fees than other private colleges. Additionally, a state school usually offers students a discount and preferential admittance if they are residents of the state. State colleges and universities are some of the most prestigious schools in the country and often offer an excellent education. A low-cost public college can also act as a springboard. Students can save money on tuition by taking general classes at a community college and then transferring to a more expensive institution later for education in a specific major. 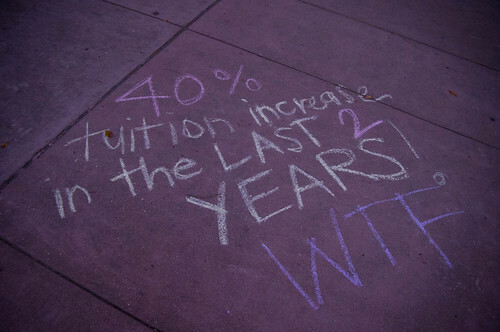 Some tuition costs include room, board and health insurance. Living at home can reduce the cost of college by removing the need for these expenses. Parents who can extend a health plan to children in college can do so for less than what a college charges for health insurance. Avoiding the expenses of a campus dorm room and meal plans can cut thousands of dollars from the cost of tuition. Living at home can have some drawbacks, however, since campus facilities will not be as easily accessible to the student. There are certain cities and states that will allow a student or the parents of a student to deduct the cost of tuition from taxes at the end of the year. There are also some federal programs that can help low-income individuals by allowing a portion of tuition to be returned. Being able to deduct the entire cost of tuition from a tax return means that college is practically free. These tax breaks need to be thoroughly researched. The assistance of a tax professional is usually the most effective way to find out about taking deductions based on college tuition expenses. Lucy Cannon is a guidance counselor and guest contributor at Top Colleges Online, where she has authored guides such as this one to help student obtain online degrees. i have been selected to join mount meru university this year so that what i need is to be supported in case of tuition money . I went to state university when I was in college because my parents could not afford sending me to a private university. And it was all worth it, the education is cheap and good. I also applied for a state scholarship and got accepted.